H-220 In 2014, State Bank deposit slips in Tamil Nadu were in English and Tamil. In 2015, it was changed to English and Hindi. H-221 Andhra Bank's 2015 calendar is in English and Hindi only. Indian government owns about 58% of the bank (in 2015) and thus imposes Hingi through it. H-222 A note by 1965 self immolation martyr Sivalingam says (in Tamil) "Life for Tamil, body for earth". H-223 Photos of 1965 self-immolation martyrs plus a few others. 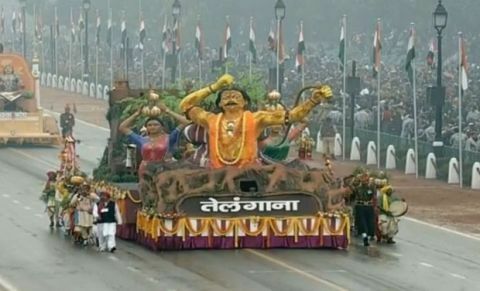 H-224, 227 At the 2015 Republic Day Padade floats (tableau), Indian government required that all state floats have Hindi in the front and English in the rear and state language on side if the states want it. State language must have been at the front.